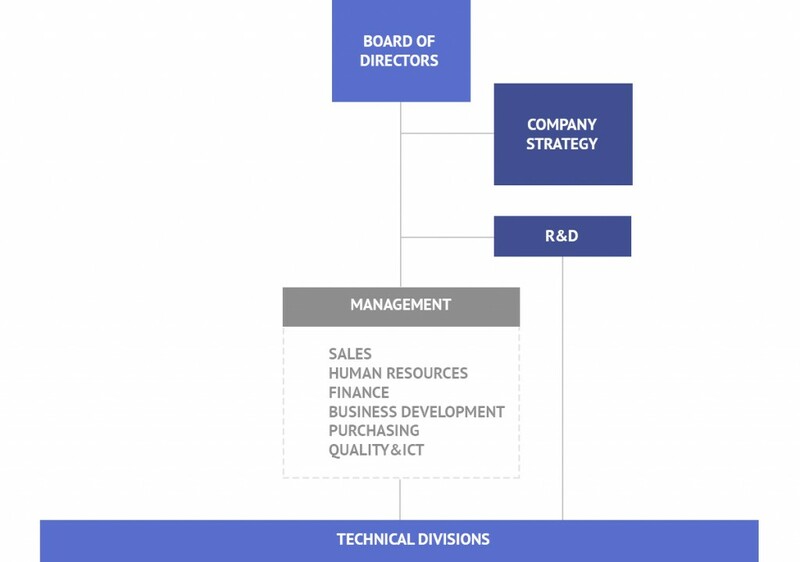 In order to reach this purpose we organised our structure with indipendent technical divisions that mantain a direct connection with the client, while the management structure manages and supports the single divisions and the R&D pursues the research of new technological solutions that can be applied in short and long term. The company strategies involve directly management and R&D department. The R&D department operates indipendently on strategic projects for the company and the innovative solutions become expertise for all the technical divisions. This policy is necessary for the continuous evolution of our services and for the highest quality level. The Board is constantly in touch with the managers that collect and report feedback from all the operative areas. SHARING: the knowledge of the “one”, is the knowledge of everyone.